Wallis Currie-Wood's Austin The Madam Secretary star takes Watch! 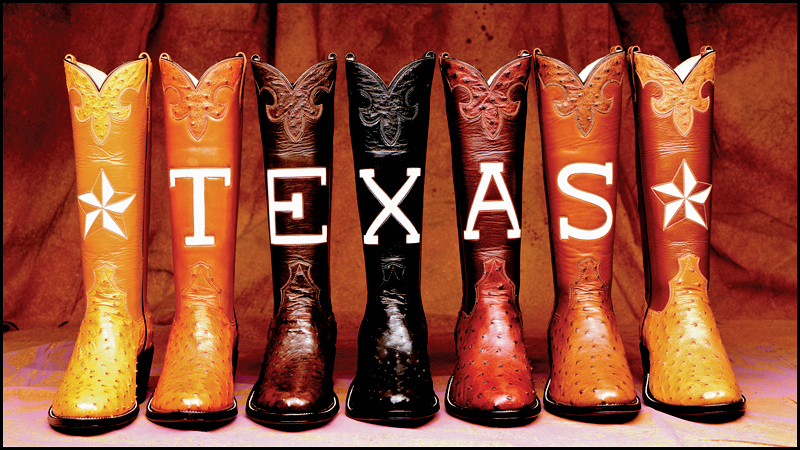 to the Lone Star State. Juilliard-trained Wallis Currie-Wood plays a White House intern on Madam Secretary and spends her days filming in New York City. But no matter what her address, she'll always be a Texas girl. "I come from the Hill Country outside of Austin, a land of rolling hills, ranches, tractors, wild deer, and, in the spring, bluebonnets everywhere," says Currie-Wood. "New York is busier and faster paced. Austin is weirder and has better breakfast tacos." 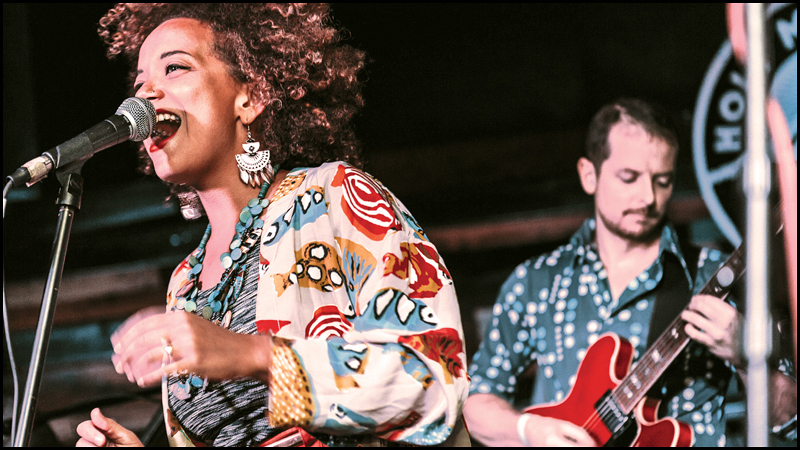 Since she has the inside track on the coolest city in the Lone Star State, we reached out to her to talk Tex-Mex, live music, and the real reason Austin is nicknamed "Bat City." A map of Wallis Currie-Wood's hometown of Austin. Illustration by Gary Hovland. 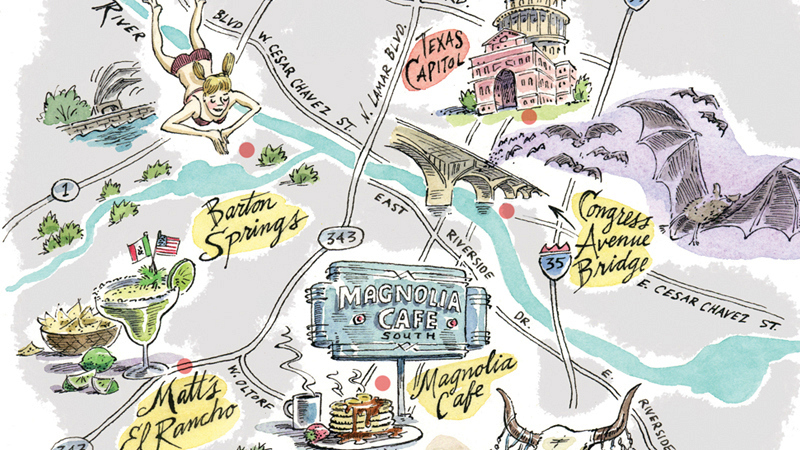 For breakfast, the Magnolia Cafe is my all-time favorite. I've been going there for gingerbread pancakes since I was tiny. Hands-down the best breakfast food. 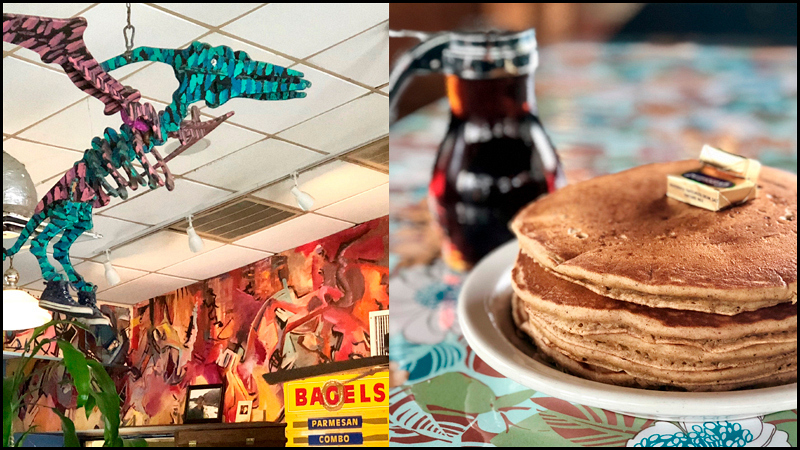 They have a rotating gallery of local artists' art on the walls, and in true Austin form, a pterodactyl hangs from the ceiling. 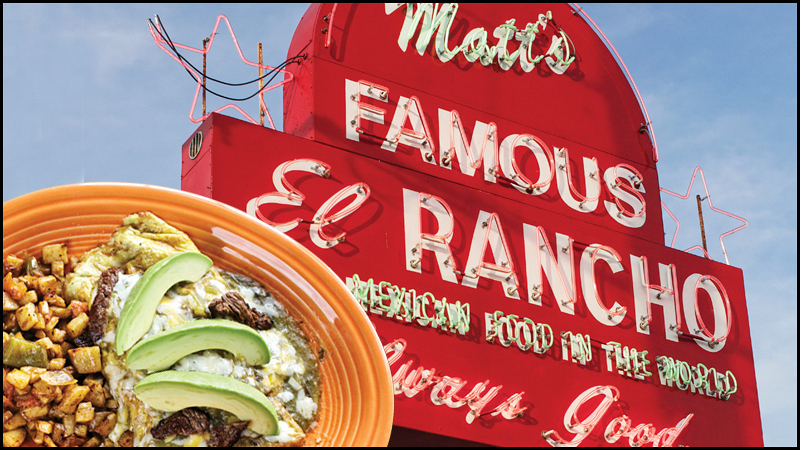 Also, there is a lot of incredible Mexican and Tex-Mex food in Austin, but I always go to Matt's El Rancho for the best enchiladas, tamales, and salsa you've ever had. It was started by the Martinez family in the 1950s. When you walk through the huge wooden doors carved with a sun, the smell of their homemade tortillas will draw you in, and their margaritas will make you stay. To finish off your meal, you have to try their special house-made pralines. Best accommodations? 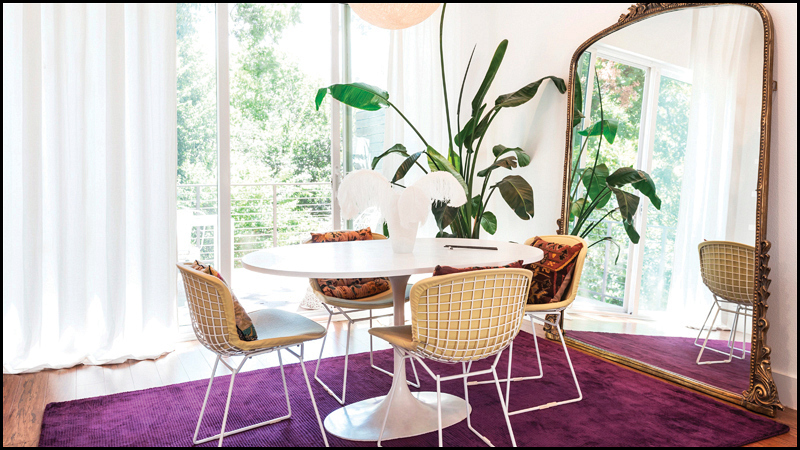 Airbnb is where it's at—you can find all kinds of unusual places with Austin flair. Cue the fairy lights and big outdoor garden. Spider House is a chill place to grab a drink in the evening while sitting among unusual furnishings and trees. There are endless vintage shops all over the city where you can find truly unique—and cheap—pieces to add to your wardrobe, including all manner of awesome cowboy boots. South Congress is where I'd start. And for a cool souvenir, definitely pick up a "Keep Austin Weird" bumper sticker. 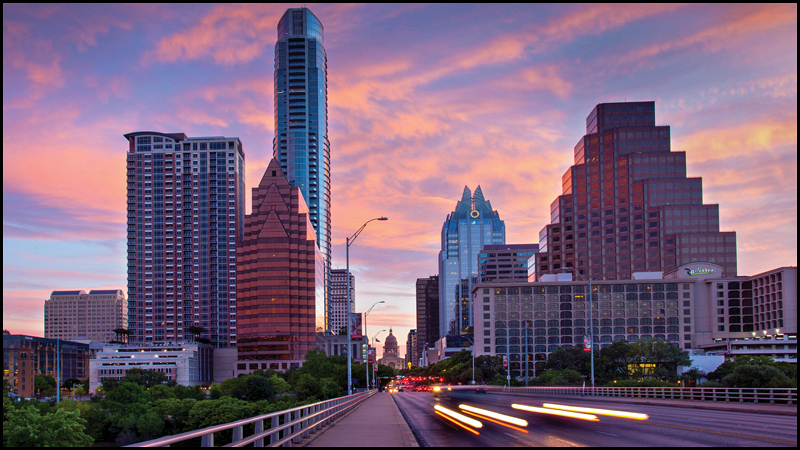 The most scenic spot in Austin is literally anywhere at sunset. Texas sunsets are unfailingly spectacular. Wander. Get lost. Austin is full of unusual offerings that you may see only by accident. There is an endless supply of oddity shops, food trucks, weird sculptures, street art, rainbow hair, beautiful nature walks, interesting people, and theater. 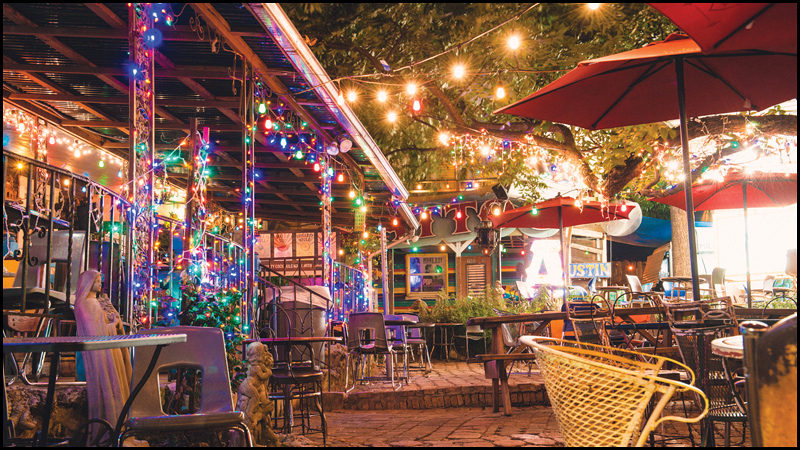 Take in live music at one of the great hole-in-the-wall venues—check The Austin Chronicle. Go see the bats under Congress Avenue Bridge at dusk. They swarm in the most incredible display. Look up, but make sure you close your mouth! 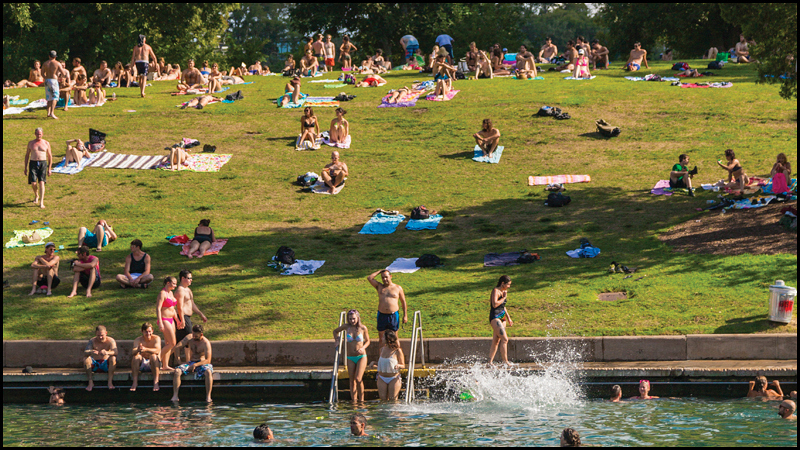 And go swimming in Barton Springs, a natural spring-fed, ice-cold pool in Zilker Park. It's the perfect way to spend an unbearably hot Texas summer afternoon—of which there are many. Plus, it's the only natural habitat in the world of the endangered Barton Springs salamander. Photo Credits: Jamie McCarthy/Getty Images (Currie-Wood); DNY59/Getty Images (Blanket); Necklace (Uncommon Objects); Airbnb (Table); Jacob Weber (Spider House); Bullock Texas State History Museum (Boots); Lauren Logan Photography/Visit Austin (Singer); Kylie McLaughlin/Getty Images (Barton Springs). Watch the Season 5 premiere of Madam Secretary on Sunday, Oct. 7 at 10/9c on CBS and CBS All Access.